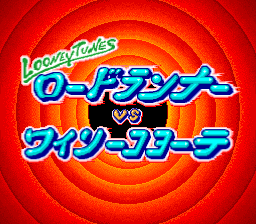 Platform game based on Looney Tunes Characters. 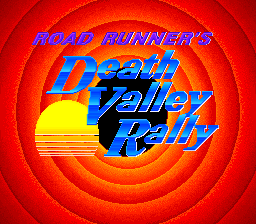 This game is more commonly known as Road Runner's Death Valley Rally in the US. Everything about Road Runners presentation is perfect. The intro sees Road Runner being chased by Wile and then the Looney Tunes screen comes up and the tune is played, you really think you are in for something special. When you do start the game the first thing you notice is how amazing the graphics and sounds are but move the control pad left or right and it will take you only five seconds to realize how BAD the game plays. There is NO control at all and the difficulty level is so tough you'll be lucky to ever see past level 3 (if you even last that long). All presentation and no gameplay this really is truly awful. One of the poorest platform games on the SFC.